Our aeronautical branche first obtained official approval in 1975. In the year 1994 our company was additionally approved as a JAR-145 Maintenance company. The conversion to an EASA Part-145 approved Maintenance company followed in 2004, approval no. DE.145.0096. 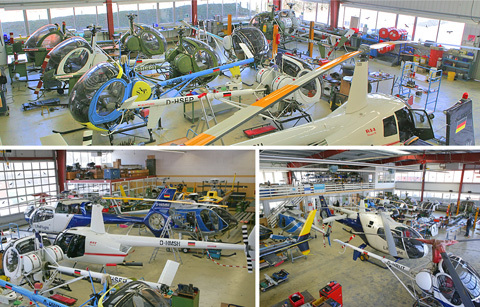 Our facilitiy at the Dattenberg base comprises of a maintenance and a stock area of over 1300 square meter. Our team consists of twelve technicians and testpilots with Type Ratings for the helicopter fleet we operate.